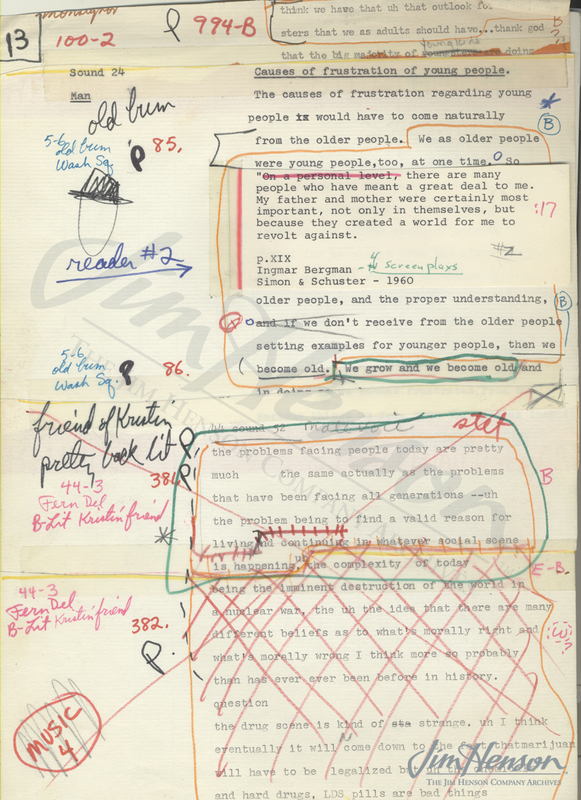 While most of the footage used in Jim’s documentary “collage” Youth ’68 was in the form of man-on-the-street interviews, some of the musical sequences with elaborate visuals and all of the interspersed quotations were taped in NBC’s studio in New York. 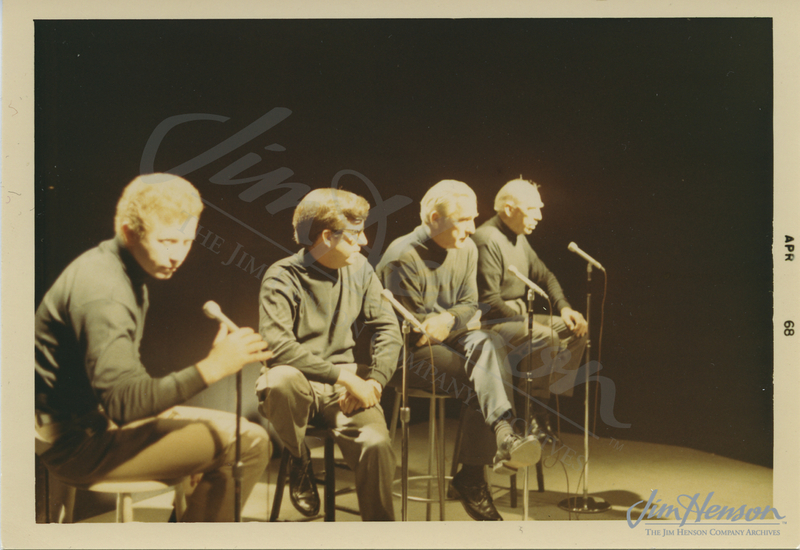 Jim brought in Jon Stone (who was on the verge of starting Sesame Street) to direct those sequences, and Jim edited them into the flow of the program. Given that some of the quotations would be heard with the footage of the speaker appearing on camera, each of the voice actors wore a simple black turtleneck to differentiate them from the interviewees in flower-power outfits or more conservative outerwear. Learn more about Youth ’68. 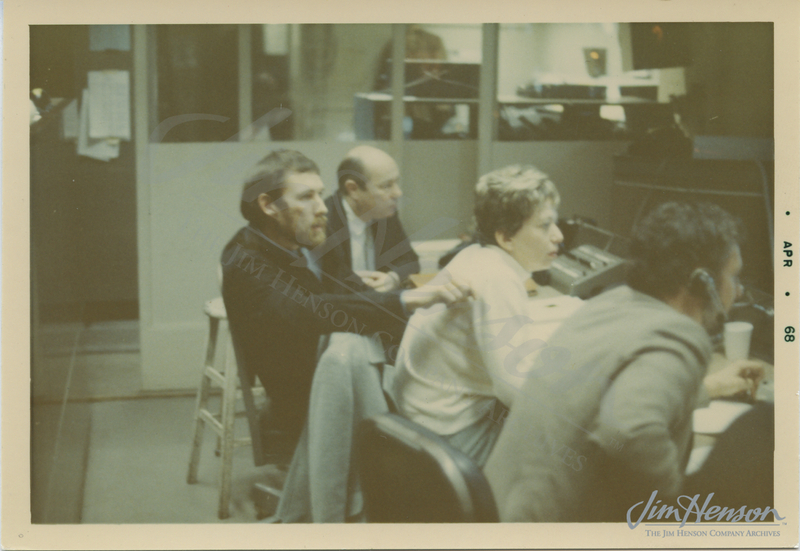 Jim in NBC’s studio during the studio portions of Youth ’68. Voice artists during the recording session for Youth ’68. 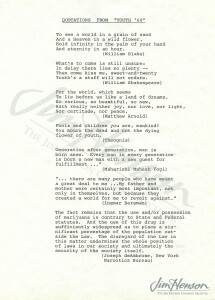 A selection of quotes recorded for Youth ’68. 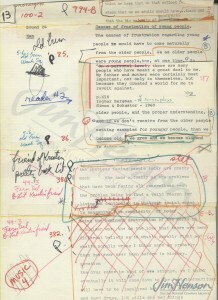 Page from Jim’s Youth ’68 editing script with a quote from Ingmar Bergman. 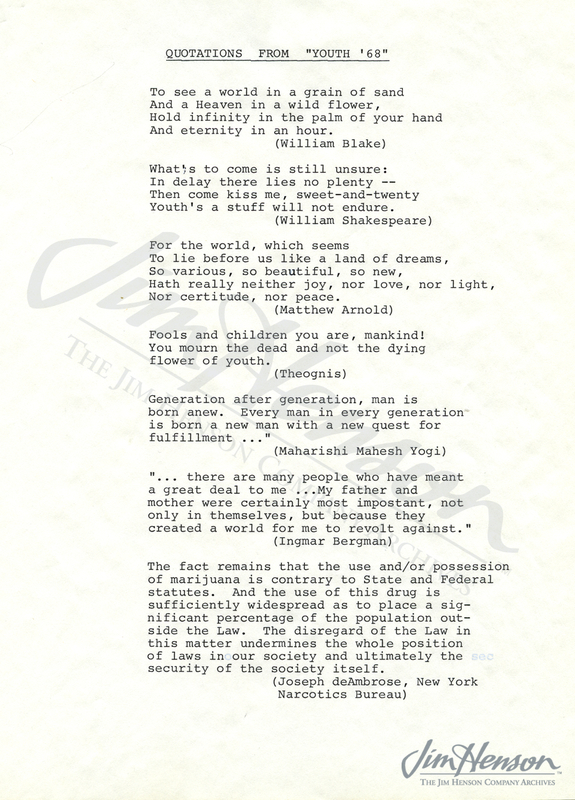 This entry was posted in 02-February '68, 1968, Youth 68. Bookmark the permalink.